The deadline to appeal your property tax assessment is May 8th. If you live in Lakeview Township (and that's all of Uptown), you can take advantage of this free workshop Thursday night at Chase Park. Additionally, they will be at the 47th Ward Aldermanic Office 9am-1pm on Thursday (4243 North Lincoln) to assist. 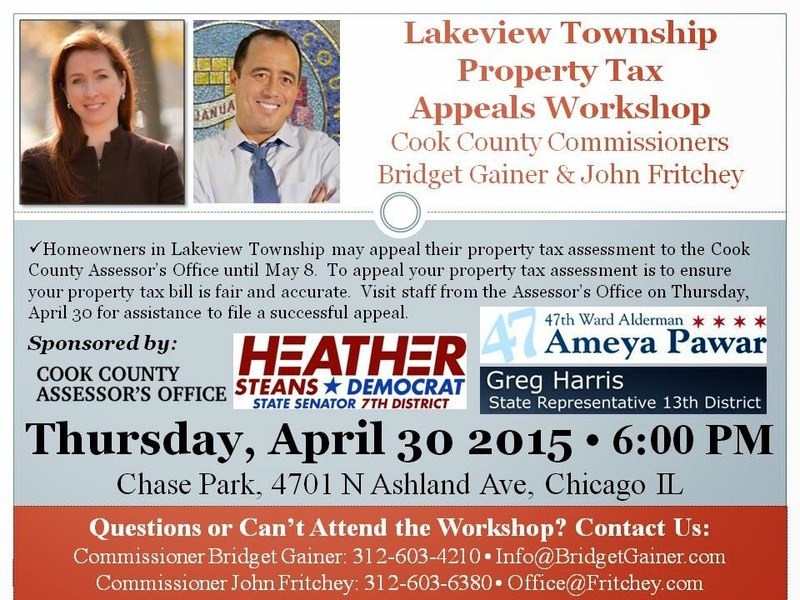 If you attend either of these events, be sure to bring your assessment notice and your second installment property tax bill with you. What time Thursday night at Chase Park? 6pm according to the graphic they sent.